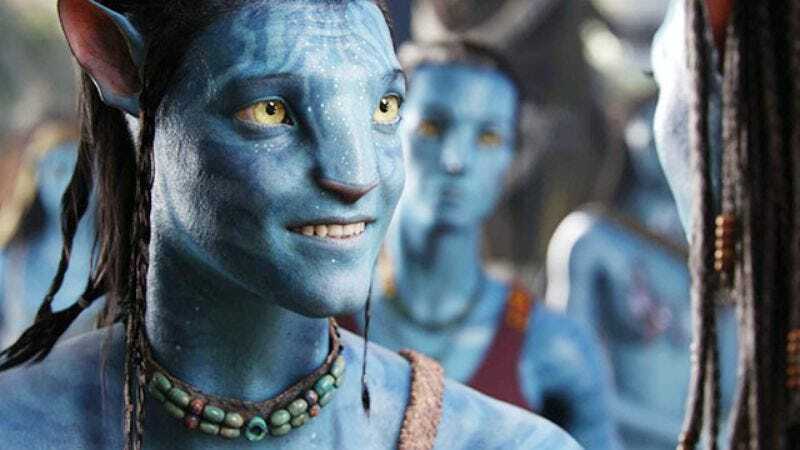 December has provided James Cameron with the unexpected boon of invoking Avatar in the same conversations as Star Wars: Episode VII—The Force Awakens, if only to remind everyone that his Dances With Wolves companion piece still holds the record for highest-grossing film of all time. Never one to miss out on the opportunity to remind everyone what Avatar was/is, Cameron has announced that he’s sticking to his previously announced schedule for the sequels, telling Collider that Christmas 2017 is still the target release date for Avatar 2. Cameron didn’t share any details on the appearance of the new natives that will require rescuing by whomever’s the heir to Sam Worthington’s nondescript-lead-actor throne, but he did indicate that “[t]he writing is ongoing, but almost finished” on the scripts that he’s working on with Terminator: The Sarah Connor Chronicles’ Josh Friedman. And look, we know it’s too much to hope that Lena Headey or Summer Glau will show up in one of these movies, but we’d be remiss not to express our desire to see that happen.